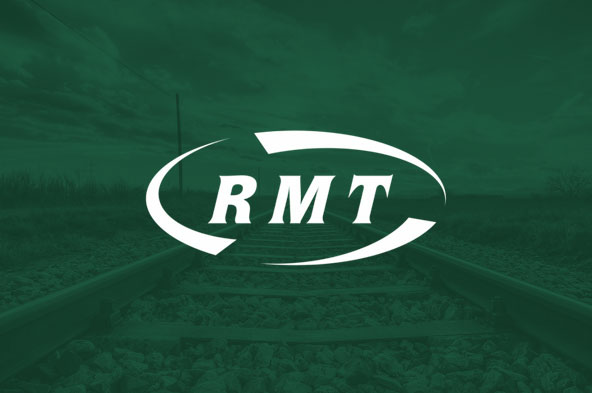 Rail union RMT today welcomed unanimous support from across the trade union movement for a national fight over Chris Grayling's proposed ‎pay cap. An emergency motion lining the TUC up behind the pay battle was passed at the Congress in Manchester today. "We warmly welcome the show of support and solidarity from across the trade union movement in our fight for pay justice for Britain's rail workers. Today's vote will put fuel in the tank for the national pay fight that lies ahead. "Chris Grayling has made it crystal clear that he intends to try and impose a nationwide pay cap on RMT members linked to the bogus CPI inflation figure. Any such move would rob workers of thousands of pounds across Network Rail, the train operating companies and quite possibly London Underground as well. "The CPI measure Grayling is promoting doesn't even take into account the cost of a roof over your head and if he seriously thinks that our members are going to take the hit to their pay for his incompetence and the greed of the train companies he has got another coming. "RMT will be mobilising a national campaign to smash the pay cap which will include the use of co-ordinated industrial action if required to protect and enhance our members pay and conditions."